Fragrance: Pleasant, noticeable in new blooms. Leaf color: Top, deep green, newest leaves deep bronze. Comments: This is a fine choice of a beautiful white water lily. It is ideal for small, medium, or large pool. One excellent feature is that blooms stay open late in the day. 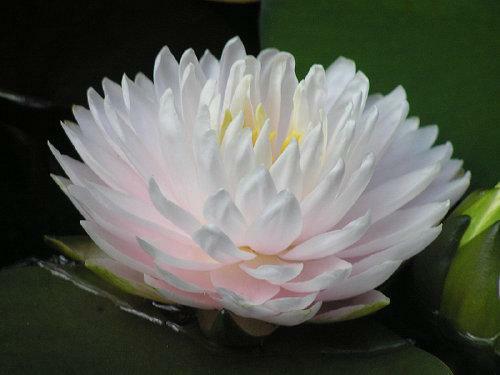 Though many hardy water lily flowers close in early afternoon.